Having your own photos printed onto canvas is a simple but stylish way to keep your memories alive. A next day delivery canvas ensures you can design your print and have it in your hands the very next day. Perhaps you need a stunning gift sent fast or want to brighten up a wall in time for some unexpected visitors. Whatever your needs, next day canvas prints guarantee vibrant reproduction of your favourite photos at your door in a flash. Lovingly made in the UK by our talented artisans here in London. Every item is made using sustainable practices and eco-friendly materials to reduce our carbon footprint. Create stunning canvases with your photos one day, and have them on your walls the next with our next day canvas prints. If you order before 12 pm and select 'next day delivery', you will receive your gorgeous photo canvas, handmade to order and ready to hang. Your photos are printed onto canvas using a superior sublimation method. The dyes are infused into the canvas, ensuring brilliant colour as well as fine detailing. With a lightly textured, matte finish, you won't have to deal with unsightly shine on your prints. This method means the print quality is consistent and remains vibrant for years to come. Your canvas is stretched onto ethically sourced, handmade wooden frames, which are laminated and won't crack or warp. We are so confident with our techniques and quality that we offer a lifetime guarantee with every next day delivery canvas. With an impressive range of sizes and choice of depths, you can create next day canvas prints with the precise specifications to suit your needs. Designing a next day delivery canvas means more than just adding your photo. You can browse a variety of templates including wrap options, and even create a collage or add text to your design. With a next day delivery canvas, you can let your creativity shine and see your design the very next day. 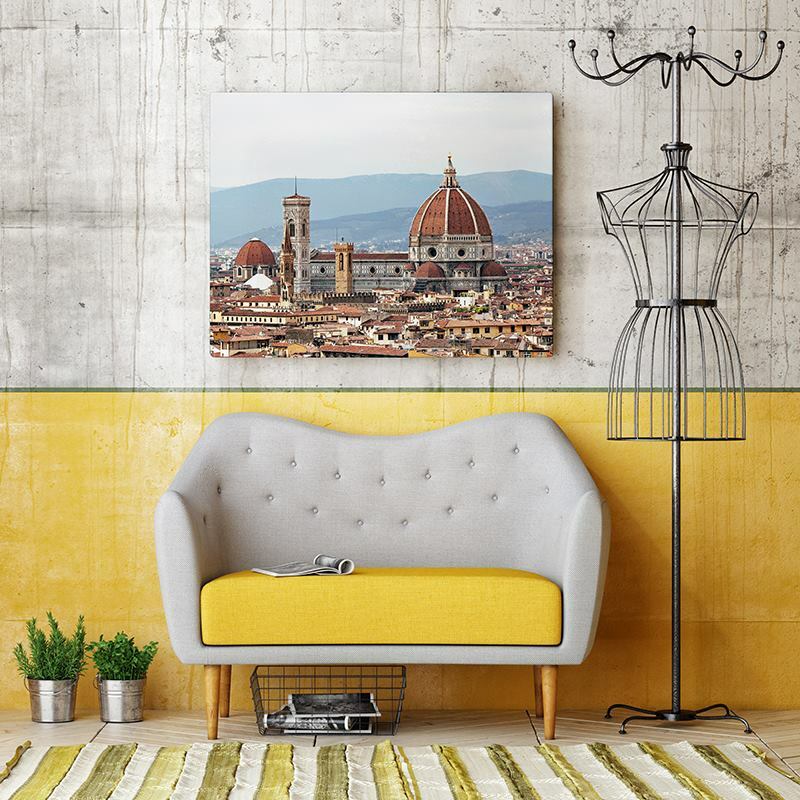 From adding a pop of colour to the guest room to filling an entire wall in your pop-up event space, our range of next day canvas prints sizes ensures there's something for everyone. The smallest next day delivery canvas is 30 x 30cm, and the largest is 200 x 200cm; if you don't want your next day canvas prints to be square, you can change the width and depth to your preference. When designing your canvas, you also have the option of two depths: 2.5cm and 4.5cm. The smaller depth is ideal for next day canvas prints being sent as gifts. The larger of the two has a sturdier frame, perfect for making a statement while providing extra support. Please note that the canvases which are 200cm in width or height can only be made with 4.5cm depth. Printed onto 100% poly, genuine woven canvas, your photographs will maintain a full colour with a slightly grainy texture and a matte finish. The strong canvas material is ideal for your next day delivery canvas prints as it holds its strength when stretched over the wooden frame. This woven canvas will not change as it ages, so your beautiful memories will be preserved with professional quality. The frames used for your next day canvas prints are handcrafted in our studio in London. Made from ethically sourced, FSC approved pinewood, they have a laminate to guarantee the frame will not crack or warp over time. Your printed canvas is stretched over the sturdy frame. Eight stretcher wedges are then added, to give your frame the optimum tension ratio, so your canvas prints are durable enough to last a lifetime. Our printing method is a sublimation process, locking the eco-friendly dye onto the canvas using heat and pressure, which allows the dyes to infuse deep into the fibres of the canvas. The process guarantees a long-lasting print which cannot rub off and will not fade over time. Your finished next day delivery canvas is scratch-proof and even washable. This superior method means the vibrancy and detail of your photographs will stay strong and consistent. In order to preserve the richness of the colours in your print, keep the canvas out of direct sunlight. You have the choice of three different wrap options for the sides of your next day delivery canvas. 'Colour Edge Wrap' finishes your canvas with block toned sides in a colour of your choosing. If you choose 'Gallery Wrap', your chosen image will continue over the sides for a sleek look. If you want don't want blank sides but also don't want to continue your image, choose 'Mirror Wrap', to have a reflective image printed on the sides. Next day canvas prints are sent fast and ready to hang. We include a free wall hanging kit with every next day delivery canvas, which is easy to use and includes wall plugs, screws, and a picture hook. Once you affix the hook to the back of your canvas, it is ready to hang wherever you like. When choosing a wrap option for your next day canvas prints, you will need to make sure that no important parts of your image are lost. If your image features faces or text which are close to the edges, then use colour edge wrap to ensure that nothing important is lost in the canvas wrap. If the main feature of your next day delivery canvas image is central then a gallery wrap is a great choice for a sleek finish. It is also a good choice for landscape photos, as well as mirror wrap which reflects the image around the sides. The bleed area of a product surrounds your image and acts as leeway to ensure none of it is cut off in the printing process. Anything in the bleed area could be cut off in the final print, however, you should still fill this area with the background of your image - excluding any important details - in case it is still visible. 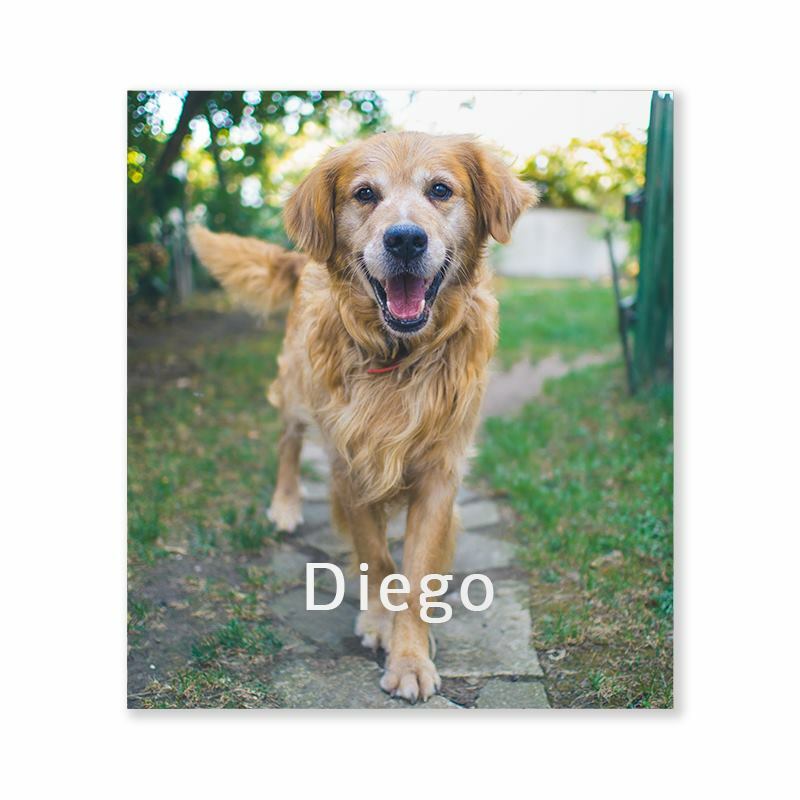 Next day delivery prints are often created as last minute gifts, so you could choose to print your favourite photo of yourself with the recipient onto the canvas to make a beautiful and touching present. If you're designing next day canvas prints for a project or event, choose your image based on what size you need to fit your display space. Wide width canvases are ideal for awe-inspiring landscapes and long length canvases are the ideal shape for portrait photo canvas displays. When choosing how to hang your next day delivery canvas print, there really is no right or wrong. You may want to determine where to hang your canvas by its size; bigger canvases work as excellent decor to draw in larger rooms and spaces, making them feel less empty and more inviting. Small next day canvas prints are perfect for hanging in busy spaces to create a fun and energetic vibe. These are great for creative workspaces and studios. If you want to display more than one photo on a next day delivery canvas, you can use our intuitive design tool and create a collage. You can upload your photos from social media or directly from your device, then add your selection and either use pre-set collage shapes to position them or do so manually until you are happy with how your canvas looks. You can always preview your canvas before completing a purchase, and save your design and come back to complete it at a later date.